Moscow (September 21, 2017) – One of the most innovative and exhilarating virtual reality experiences in the world is being launched in Moscow, with the opening of the Titan VR’s first Virtual Reality Multiplex inside the Karo Vegas 22, the largest cinema in Russia. “Movie lovers around the globe are excited about virtual reality in the cinema. Our Titan VR multiplexes are revolutionizing virtual reality in Russia, providing an exhilarating experience with innovative new technologies that keeps our patrons coming back for more,” said Paul Heth, a global leader in innovation and entrepreneurism in the film and theatrical exhibition industry and a principal in Karo and Titan VR, along with his longtime business and feature film production partner Michael Schlicht. 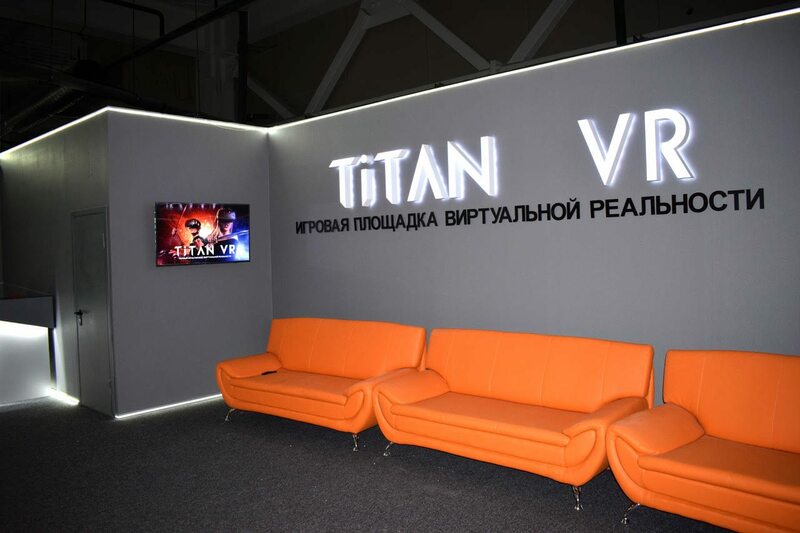 For cinema lovers, Titan VR is breaking through technological barriers, including the use of wireless virtual reality headsets, which is unparalleled in Russia and around the globe. In the Titan VR multiplexes, players get a fundamentally new immersion into virtual reality – 360 degree freedom of movement and interaction not only with virtual reality but with other players, too. Friends will be able to share fantastic moments with each other. Titan VR has a variety of content that will be regularly expanded with new games. The guests of the multiplex will be able to choose between VR simulators (Space Pirate Trainer, Google Tilt Bush), games (Raw Data) and exclusive games based on popular film franchises (Archangel from Skydance). The first Titan VR multiplex has five halls each of which can accommodate up to four people. Gaming sessions last up to ten minutes. Before the game, players receive a short brief. Each game can be recorded to show how the gamers played both in real life as well as inside the virtual reality. The whole session can be recorded, sent and shared on social media. The next steps for Titan VR are the opening of additional multiplex VR multiplexes in Moscow and cities both in and outside Russia. Titan VR is in discussions for additional expansion into Western Europe and North America. Paul Heth and Michael Schlicht are longtime producing partners. Heth is a media entrepreneur, who is widely credited with the revitalization of the Russian theatrical exhibition sector. He also is an owner, and serves as CEO of Karo, one of Russia’s leading cinema companies. Schlicht is one of Russia’s most accomplished film executives, having overseen the release of five of the top 10 grossing local language films of the modern Russian film era, including Irony of Fate 2 and the Night Watch franchise.